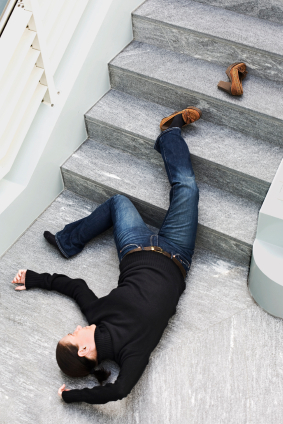 This employee tripped, fell and suffered injuries. Her employer terminated her for job abandonment. How did this happen, and what did a court have to say? Dana Boyd was a cook at Harrah’s New Orleans Casino. On Sept. 20, 2016, Boyd fell while walking up stairs as she exited Harrah’s. She suffered injuries when she landed on her hands and knees and hit her right shin. Boyd returned to work the next day. Three days later, Boyd went to a medical center with pain in her right knee. A doctor diagnosed her with a contusion and a strain of the right knee and restricted her to light duty work. Boyd returned to work for three days. On her third day back at work, Boyd went to an emergency room with increased pain and swelling. Boyd was diagnosed with a fracture to her right tibia (shin bone) as well as sprains and strains. She was referred to an orthopedist. Boyd called out of work for two days. After two days off, Harrah’s general manager contacted Boyd who texted back that she would be unable to return to work until she could see an orthopedist. She saw one on Oct. 7. The doctor released Boyd to work with a modified duty restriction. On Oct. 8, Boyd contacted her supervisor via text message to say she’d be back at work the following day. On Oct. 11, Harrah’s terminated Boyd for job abandonment. Harrah’s said if Boyd had produced a medical excuse for the days she missed work, it would have reinstated her. Boyd never produced the documentation. Later, Boyd found work at a hotel, but she said she was forced to resign from that job because she was still suffering from pain as a result of injuries she received at Harrah’s, including pain in body parts not initially identified when she sought medical treatment. Boyd requested temporary total disability (TTD) benefits for a four-month period after her injury and then again for the period when she had to resign from her new job. The Louisiana Office of Workers’ Compensation found Boyd did suffer an injury to her right knee, shin, ankle and arm while in the course and scope of her employment at Harrah’s. However, the OWC also found Harrah’s accommodated Boyd’s work restrictions and that she wasn’t entitled to expand her injuries and treatment to include body parts that weren’t initially mentioned after her injury. In conclusion, the OWC found Boyd wasn’t entitled to TTD benefits. Boyd appealed. Boyd argued Harrah’s failed to accommodate her light duty work restrictions. She was allowed to sit on a kitchen stool to do her work, but when the kitchen became busy, she was forced to move around despite being in pain. The appeals court found that, while the solution of using the stool may not have been the best one, Boyd failed to prove that Harrah’s didn’t accommodate her work restrictions. Boyd also argued in her appeal that over time, she realized she suffered injuries in additional body parts due to her fall at Harrah’s. But the court noted there was no record of lower back, right hip and right lower extremity problems in Boyd’s medical records. Boyd’s final argument was that Harrah’s deprived her of TTD benefits, didn’t facilitate her return to work and prevented her from returning to work. Harrah’s argued no doctor determined Boyd was totally disabled, rather she was released to return to work with modified duty restrictions. To be awarded TTD benefits in Louisiana, an employee must prove by clear and convincing evidence that the worker “is physically unable to engage in any employment or self-employment, regardless of the nature or character of the employment or self-employment.” An employee can do that by providing “objective medical evidence” in connection with the TTD claim. The court found Boyd failed to produce the necessary medical evidence. Since all of Boyd’s arguments failed, the Louisiana appeals court affirmed the OWC’s judgment: Boyd would not receive TTD benefits.